Have you ever looked at Chess and thought EWW GROSS! Have you ever tried to play Chess and flipped the table because you...were BORED? 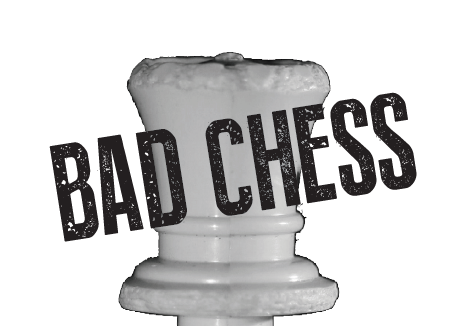 Bad Chess takes all the things that make chess a game that has been around for nearly 1500 years and ruins them. Bad Chess is the best thing I will ever create and I'm not sorry.